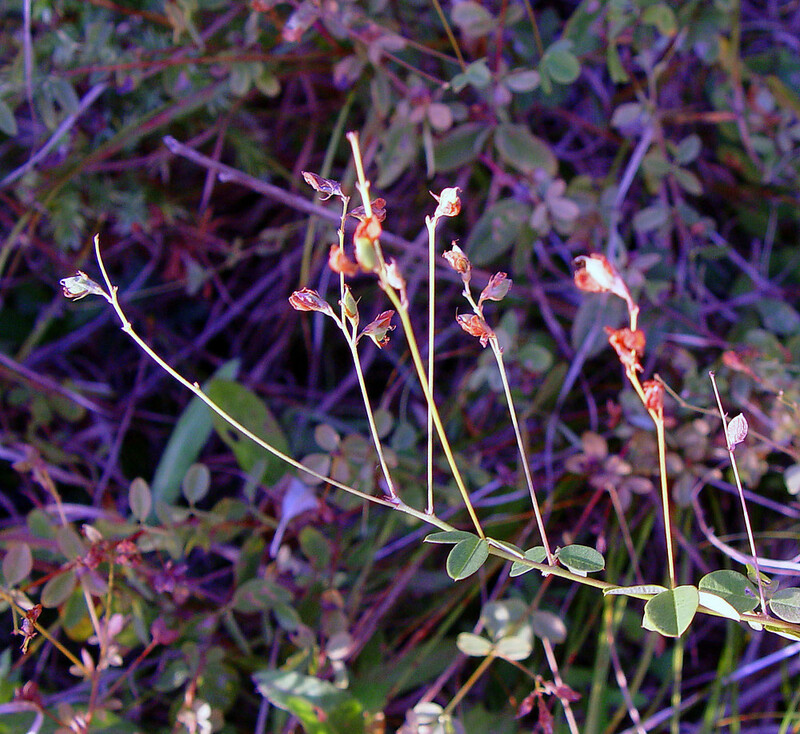 Trailing bush-clover has trailing stems but more or less erect inflorescences. 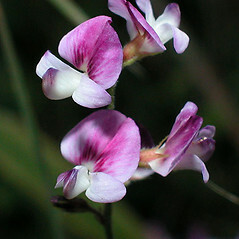 Its flowers are typically pale and tinged with lavender or violet. 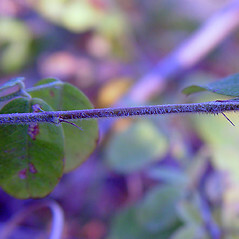 hairs of stems and leaf stalks appressed, and inflorescences with mostly 4-8 flowers (vs. L. procumbens, with hairs of stems and leaf stalks spreading, and inflorescences with mostly 8-12 flowers). 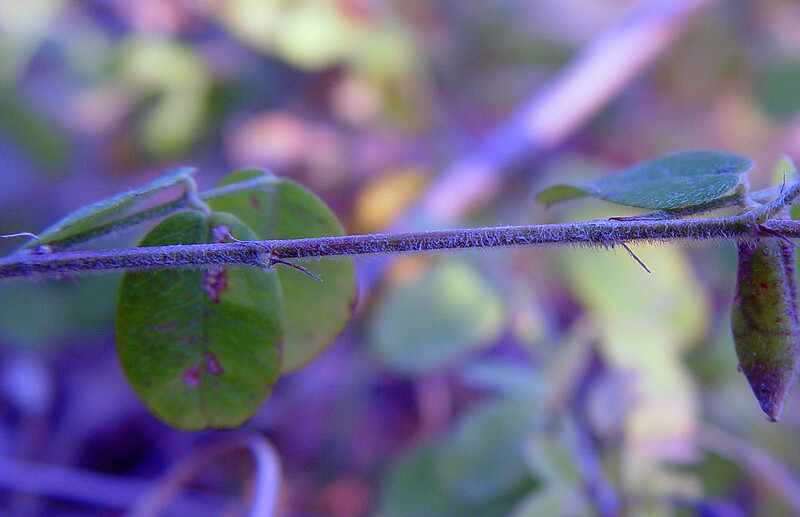 trailing bush-clover. CT, MA, NH, RI. 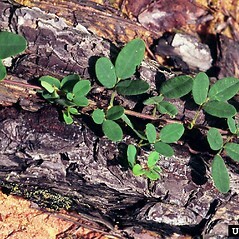 Dry-mesic woodlands, rocky forests, roadsides, banks, open balds and ledges. 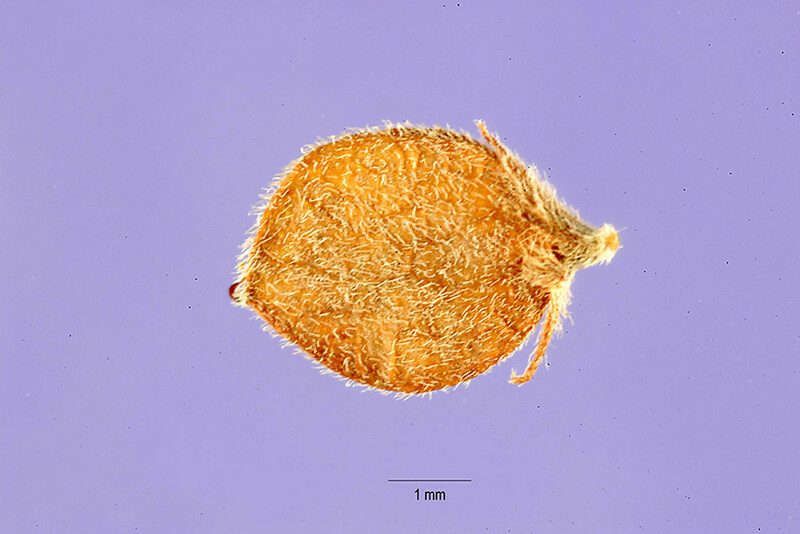 7×8. 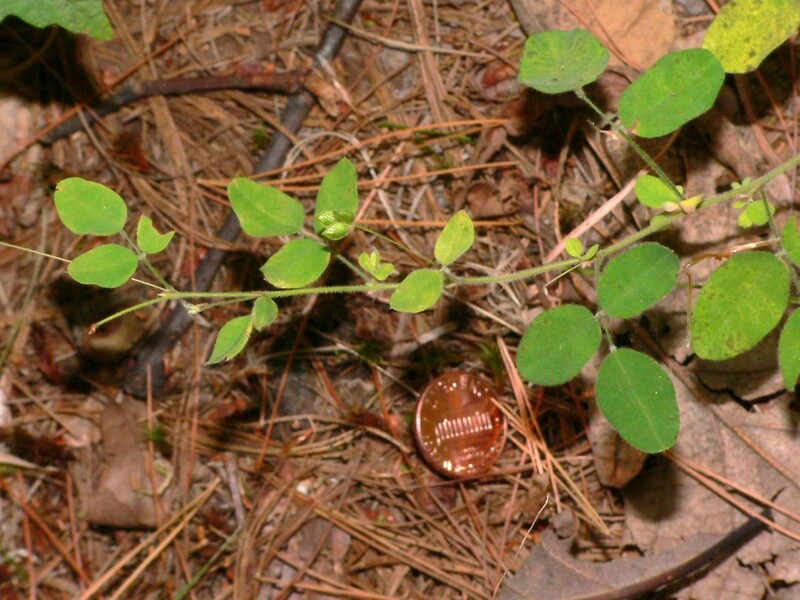 Lespedeza hirta × Lespedeza procumbens → This very rare bush-clover hybrid is known from MA. 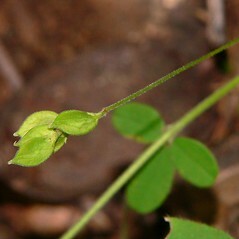 It shows many stems ascending (rather than procumbent or erect, as in the parental taxa) and calyx lobes often ca. ⅔ as long as the mature legume. 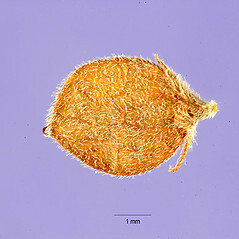 8×10. 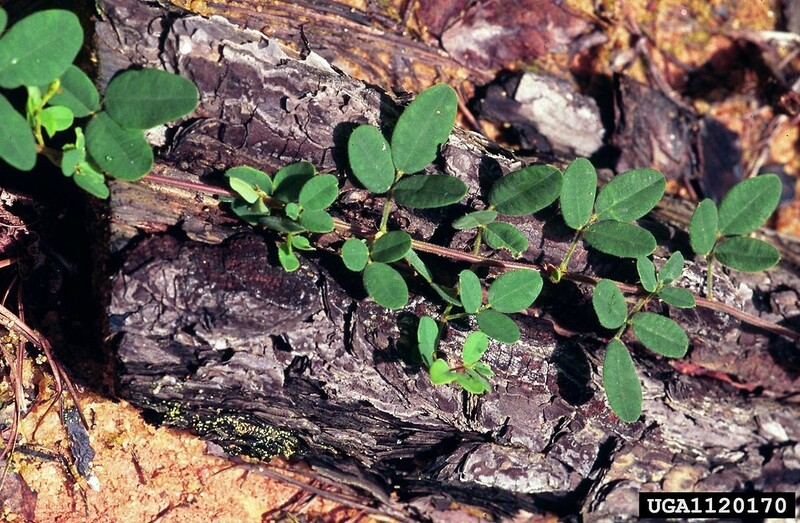 Lespedeza procumbens × Lespedeza stuevei → This very rare bush-clover hybrid is known from MA. 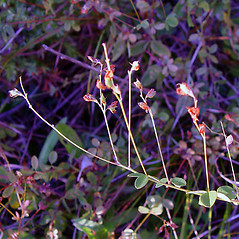 It shows many stems ascending (rather than procumbent or erect, as in the parental taxa). 8×13. 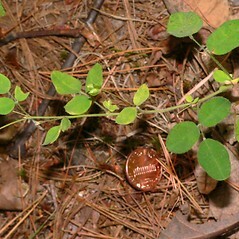 Lespedeza procumbens × Lespedeza virginica → Lespedeza ×‌brittonii Bickn. 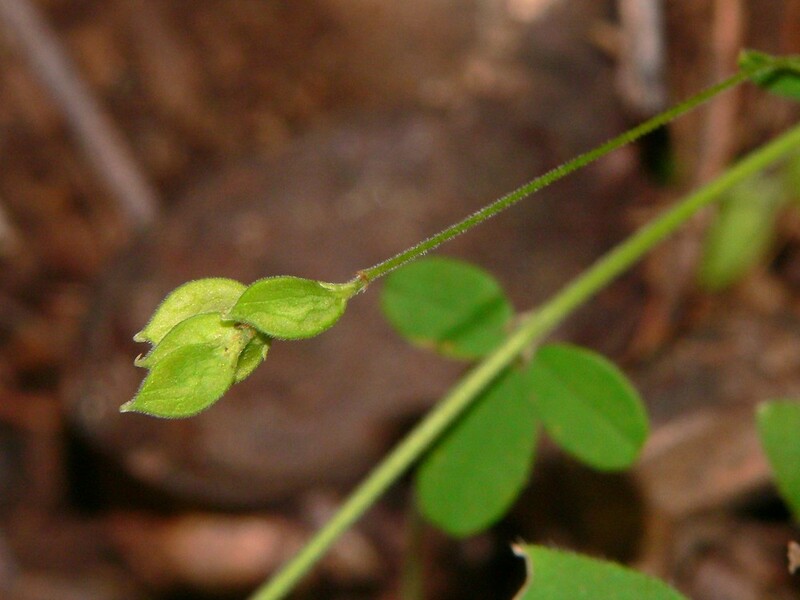 is the name for a group of rare bush-clover hybrids known from MA. 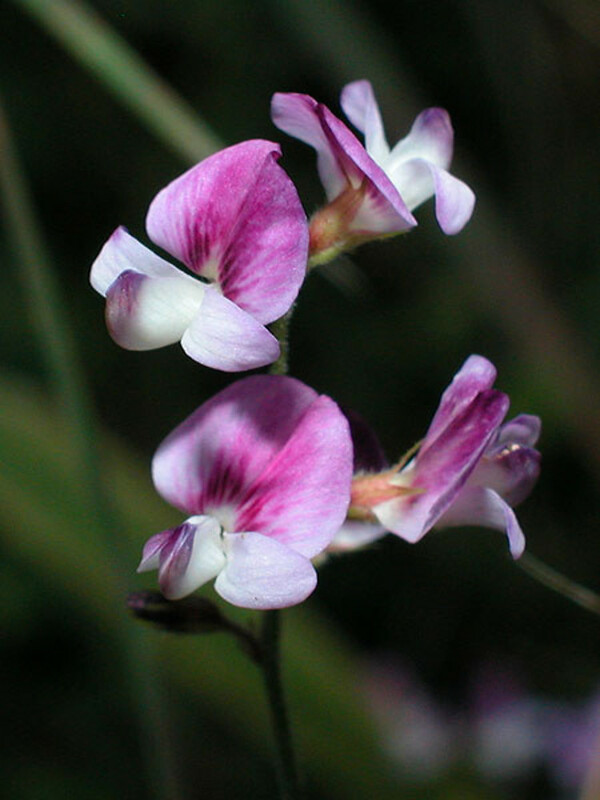 They are characterized by erect to procumbent stems that are sparsely to evidently pilose, some racemes few-flowered and evidently exserted, and leaflets of intermediate shape or varying toward L. virginica (which is oblong to linear).